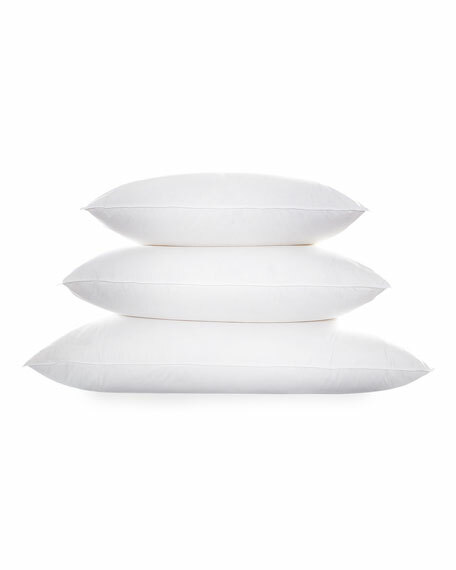 Matouk Montreux 3-Chamber Medium King Pillow, 20" x 36"
MatoukMontreux 3-Chamber Medium King Pillow, 20" x 36"
Pillow encased in Egyptian cotton percale shell. Duvet cover made of linen with a contemporized Victorian lace pattern. Dry clean. 92" x 96". Imported. Pillow with tile motif on one side and animal spots on the other. Viscose/polyester/linen/rayon. Cotton insert has feather/down fill. 20"Sq. Pillow with tile motif on one side and animal spots on the other. Viscose/polyester/linen/rayon. Cotton insert has feather/down fill. 20"Sq. Dry clean. Made in the USA of imported materials. From Isabella Collection by Kathy Fielder. Pillow made of polyester and rayon. Tassel trim. Feather/down fill. Dry clean. 14" x 20". Made in the USA of imported fabrics. 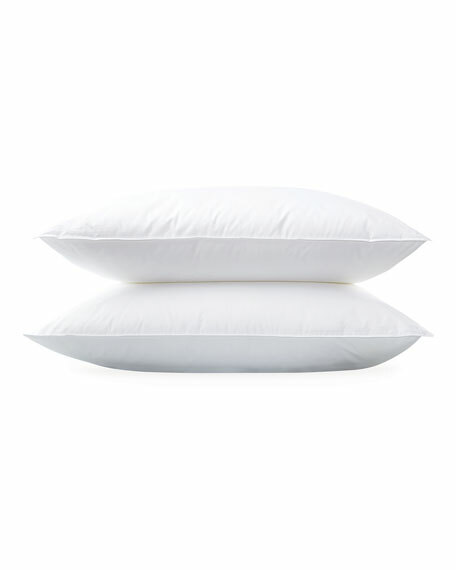 Massoud White Tibetan Lamb Pillow, 26"Sq. Pillow has dyed Tibetan sheepskin (China) front. Polyester reverse. Feather/down fill. 26"Sq. Made in the USA of imported materials.